Justine (Kirsten Dunst) and Michael (Alexander Skarsgård) celebrate their marriage at a sumptuous party in the home of Justine’s sister Claire (Charlotte Gainsbourg) and brother-in-law John (Kiefer Sutherland). Despite Claire’s best efforts, the wedding is a fiasco, with family tensions mounting and relationships fraying. Meanwhile, a planet called Melancholia is heading directly towards Earth, threatening the very existence of humankind. 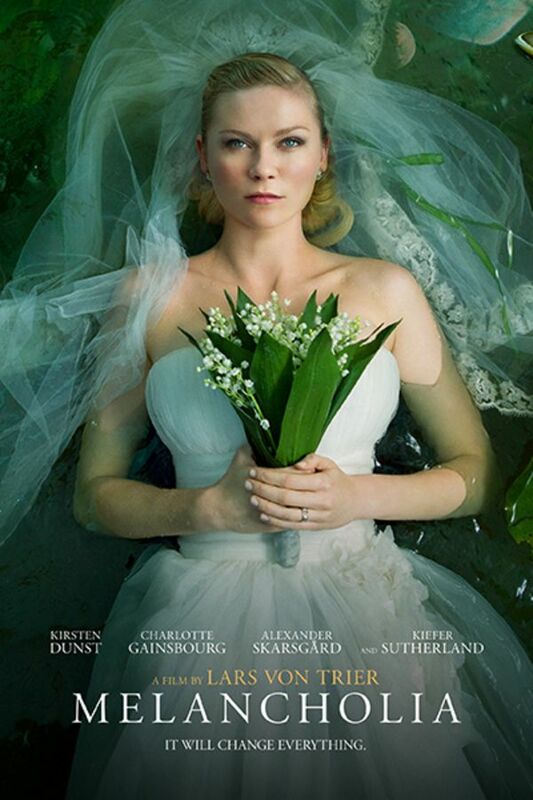 With doomsday approaching, as a planet hurtles toward a collision course with Earth, two sisters (Kirsten Dunst and Charlotte Gainsbourg) bring peace to their strained relationship. a spectacularly beautiful film about end of world ennui from auteur Lars Von Trier. Didn,t get it all. The scenerý was beautiful thòugh. I watched this Film some years ago, and it is staying in my memory ever since. Cannot even really explain why.